St Andrew’s will always be most famous for its golf, but it is much, much more than a golfer’s paradise. A rich history, beautiful coastline and one of the prettiest town centres you’re ever likely to see are just some of the other reasons to visit. St Andrew’s is a great place from which to explore Fife and Dundee. Just a short drive from University of St Andrews, Fairmont boasts unique views of St Andrew’s Bay Golf Course. Facilities at this elegant 5-star hotel include an indoor pool, gym, steam room and a Jacuzzi. All rooms at the hotel have city and bay views. On-site dining options include Rosette Esperante and Squire. In the evening, guests are welcome to enjoy a drink in the comfortable lounge bar. The location of Fairmont St Andrews Scotland allows easy access to many tourist attractions by foot. Guests are able to tour the area with the hotel's hire bicycles. This stylish St Andrew’s hotel is a 10-minute walk from the university and provides 4-star rooms with views of the bay. The hotel also has a golf course, a garden and a 24-hour reception. 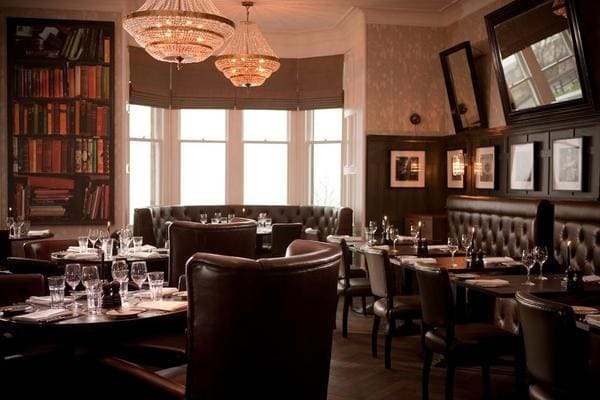 Rooms at Hotel Du Vin St Andrews are stylish and offer a mini bar and luxury toiletries. All provide wireless internet access, ironing facilities and tea and coffee making facilities. The hotel is close to St Andrews's well-known attractions, with St Mary's College, Madras College and St Andrews Castle just a 10-minute stroll away. St Andrews Cathedral is within walking distance. This hotel provides comfortable 3-star accommodation in St Andrews. It is situated in the area's popular nightlife district, just a short walk from St Andrews Castle, St Andrews Cathedral and St Mary's College. During their time at the hotel, guests can enjoy free Wi-Fi, as well as the seasonal outdoor swimming pool. It also offers a garden and a laundry service. Albany Hotel St Andrews provides all the essentials to ensure an enjoyable stay. The hotel serves breakfast every morning, and guests are welcome to relax with a drink in the bar. St Andrews's well-known attractions and landmarks are within close proximity to the hotel, with University of St Andrews just steps away. Madras College is a short stroll away. This award-winning hotel provides relaxed accommodation in St Andrews. It is conveniently positioned for guests wanting to discover the wide ranges of attractions in the nearby area. Rufflets Country House Hotel in St Andrew’s features cosy rooms equipped with a flat-screen TV and a hair dryer. Honeymoon suites are also available. Those staying here can sit down to a unique dining experience at the on-site restaurant. Breakfast is available each morning and can be savoured in the comfort of the rooms. The hotel has easy access to Old Course at St Andrews and University of St Andrews. It also provides a convenient base to discover Dundee and Cupar. 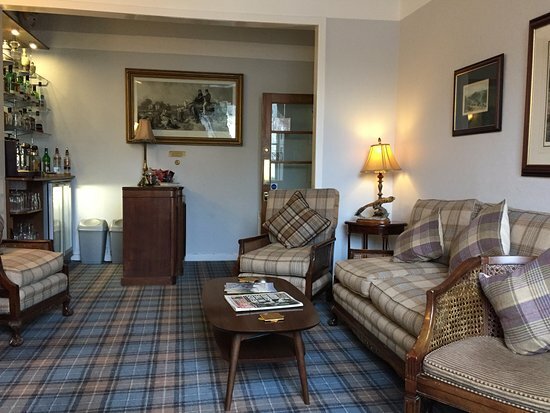 This hotel is a 10-minute walk from the University of St Andrews. The Hotel offers free Wi-Fi, 24-hour room service and an express check-in and check-out feature. Macdonald Rusacks Hotel offers a two different dining experiences with Rocca and The One Under Gastro. Guests can also visit one of the many bars and cafés in the vicinity. Places of interest near the hotel include Old Course at St Andrews, St Andrews Castle and St Mary's College. The hotel's multilingual staff will ensure that each and every guest has an enjoyable, comfortable stay. This famous hotel provides an indoor pool, a jacuzzi and a Turkish steam bath. Guests can also admire views of the renowned St Andrew’s Links golf course. The Old Course Hotel’s elegant bar has an extensive drinks menu, while the on-site restaurant serves seafood cuisine. Every morning a continental or a buffet breakfast is prepared in the breakfast room. A variety of dining options are also found in the area. The British Golf Museum is only a 10-minute stroll away. The hotel has multi-lingual staff and a very international clientele. This 4-star accommodation is beautifully located in the rolling countryside of the East Neuk of Fife. It is approximately 10 miles from St Andrews and close to the charming village of Kingsbarns. The gardens and nearby woodland walks are superb, and Kingsbarns has both a championship golf course and fantastically popular whisky distillery which offers tours. Also nearby are Scotland’s Secret Bunker, the Fisheries Museum, Crail’s Museum and Heritage Centre and everything St Andrew’s has to offer. This stunning house and location is not just popular with tourists. The setting makes for picture-perfect weddings too. Guests can choose from a woodland retreat, self catering apartments, bed and breakfast and self-catering cottages. The average review on Trip Advisor is 4.5 out of 5. The Bowhill Bed and Breakfast offers luxury bedrooms and delicious food for those travellers who like to spend their time out and about. The dining experience at the Michelin-starred Peat Inn is renowned throughout Scotland. 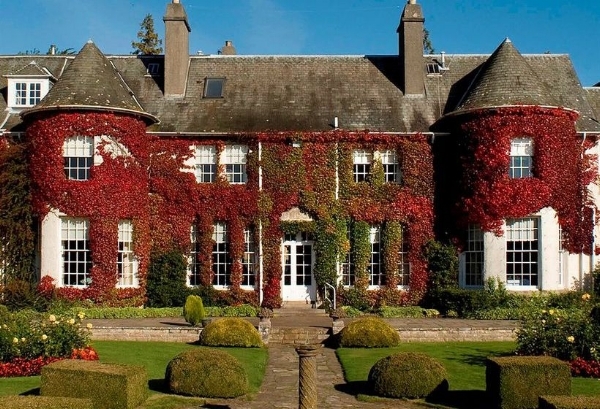 Many consider it to be the finest restaurant in the country, and such is its popularity that accommodation such as The Bowhill exist mainly to service the nearby diners! The breakfasts are special. Each room has a super king-size bed, free WiFi and full Sky TV package. In the evenings, the owners open a resident’s bar and you can sit and enjoy a drink by the fire. Guests can take in the splendid views of Fife and the Firth of Forth from the terrace and enjoy the private driving range. If you are looking for something a bit different, The Rings might be just what you’re looking for. These luxury, bespoke self-catering apartments are set in 90 acres of beautiful farmland and are built with accessibility in mind. The cottages all have wide hallways and double-french doors which open up onto the decking. The accommodation can host up to 16 people, and can be subdivided as required. There are 8 bedrooms, each with an en-suite wetroom enabling people of all abilities to enjoy a family holiday together. Located near Cupar, The Rings are within easy reach of St Andrews, Dundee, Perthshire and just 1 hours drive from Edinburgh. The Bank in Anstruther is a family-run beachfront inn with a bar, restaurant and 8 guest rooms. It is roughly 10 miles from St Andrews. Guests can enjoy the views from the terrace, a free full Scottish breakfast, free WiFi and free parking. The friendly bar with welcoming open fires is thought to have the largest selection of ales, beers, wines and whiskies in the area. The food is popular and made from local produce. The substantial gardens are a real sun-trap and have a nice children’s play area. In the summertime there are barbeque grills. The Bank is good value-for-money accommodation and a great place from which to explore the Fife Coastal Path. Anstruther is also home to the Anstruther Fish Bar, which is widely regarded as the best fish and chips place in Scotland.